I listened to both these stories via the Libby app. Originally published in 1947 in the US, rejected by the UK magazines, Agatha Christie rewrote it for the 1947 book collection, The Labours of Hercules. The original version was only discovered in 2009 by John Curran. Holidaying in Geneva, Poirot is trying to take his mind off the impending war, when an unintententional meeting with an old flame leads to the investigation of a Nazi sympathiser. Originally written in 1933 and reworked in 1937 in to the novel Dumb Witness. Poirot receives a letter, two months after it is written, from an elderly lady, who has since passed away, asking for his help. He suspects that her beloved dog is the key to her death. 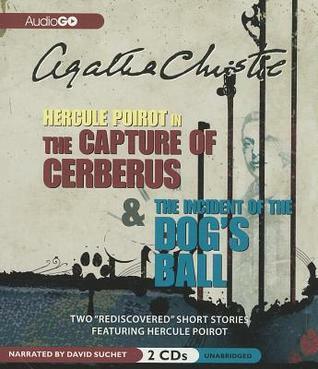 Whilst I enjoyed both of these stories, The Incident of the Dog's Ball was my favourite. They are both read by, who else but David Suchet, I mean HE IS Poirot! Written in Christie's fabulous classic style encompassing part cosy mystery and part sinster crime, it was nothing less than a joy to listen to.